For the very first time, Little Bao by Scott Tolleson x Pobber comes out of the streamer and getting released at Designercon for the first time in the U.S.A. He comes with his own collectable bamboo steamer packaging. Continuing Scott Tolleson’s foodie toy series, we are proud to present to you Bao, our shy little dumpling friend. Standing at almost 4 inches tall, Bao comes packaged in his very own bamboo steamer inspired box. Following the sold-out Little Sparkle and newly released Red Bean Bao this little dumpling boy is ready for Designer Con. 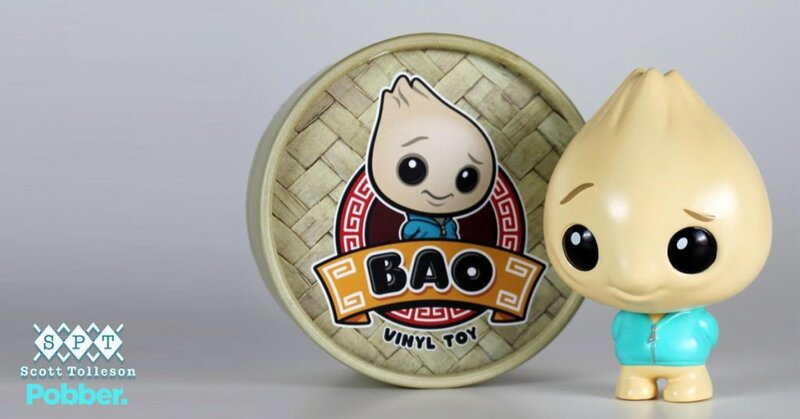 Find Little Bao at Scott Tolleson booth (#525). Only $35 each.